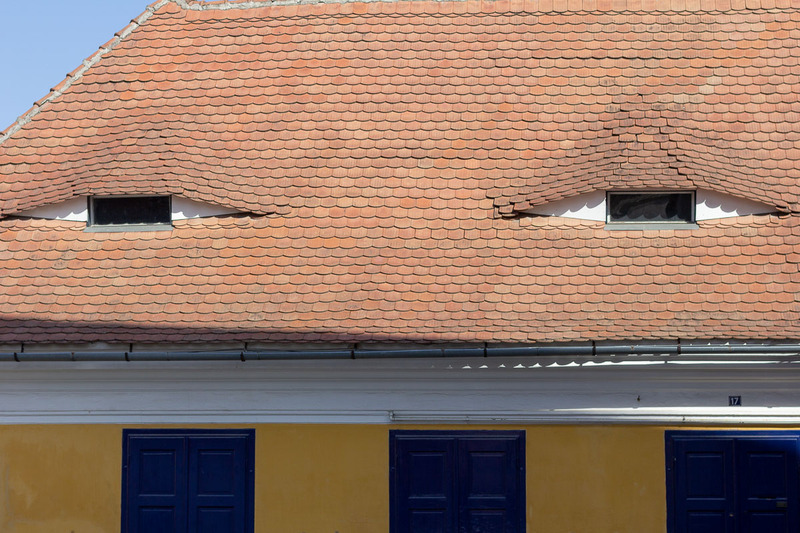 Our Transylvanian adventure was anchored by a house-sitting gig in a small Romanian village. During the sit, exploration was limited by day trips that could be completed between our morning and evening responsibilities with the pets. In the weeks before and after the sit, we were able to visit many of the popular sites less inhibited. 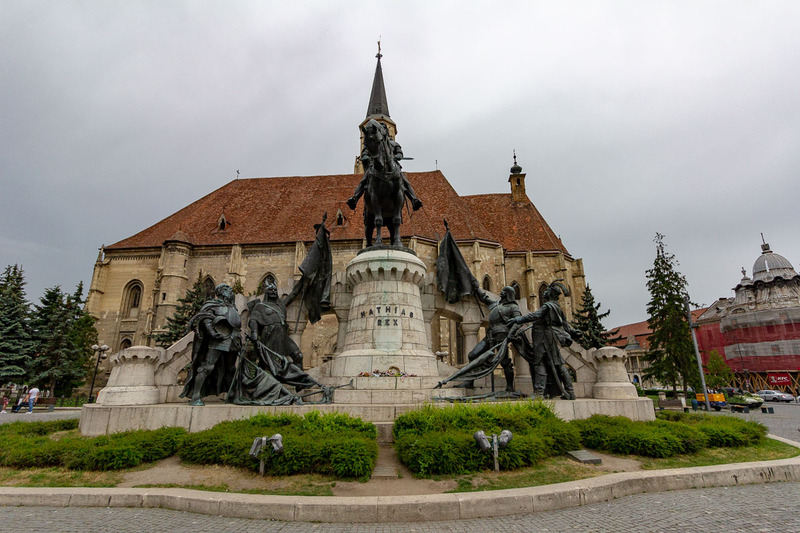 Transylvania is a historical region of central Romania bound in the east and south by the Carpathian Mountains and in the west by the Apuseni Mountains. 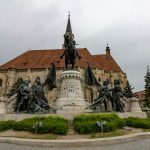 The tumultuous history of the region has seen it change hands many times, being conquered by the Romans, Magyars (Hungary), Turks, and Austrians over the years as well as several eras of self-rule. After the World War I break-up of the Austro-Hungarian empire, Transylvania became part of Romania. The multi-cultural demographics of the area can be seen in the architecture, food, and language. Road signs found in a city or village may be translated into German or Hungarian along with the required Romanian depending on the ethnic make-up of its inhabitants. 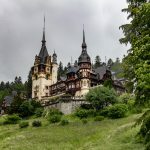 Prior to visiting Transylvania, my mind associated the region with horror genre vampires influenced by Bram Stoker’s Count Dracula character in the novel Dracula. The historical figure Vlad III (aka Vlad the Impaler, aka Vlad Țepeș, aka Vlad Dracula) is believed to have been born in Transylvania and ruled the principality of Wallachia in southern Romania in the 15th century. 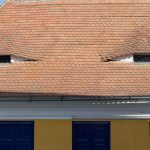 Vlad Dracula’s brutality on the battlefield was legendary, but there is little evidence that the Count Dracula character was at all inspired by the real-life person. Stoker likely only used the name due to its association with Romanian history. 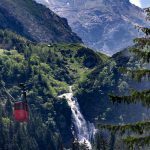 Unsurprisingly, there is a significant portion of the local tourist industry willing to capitalize on that fact. 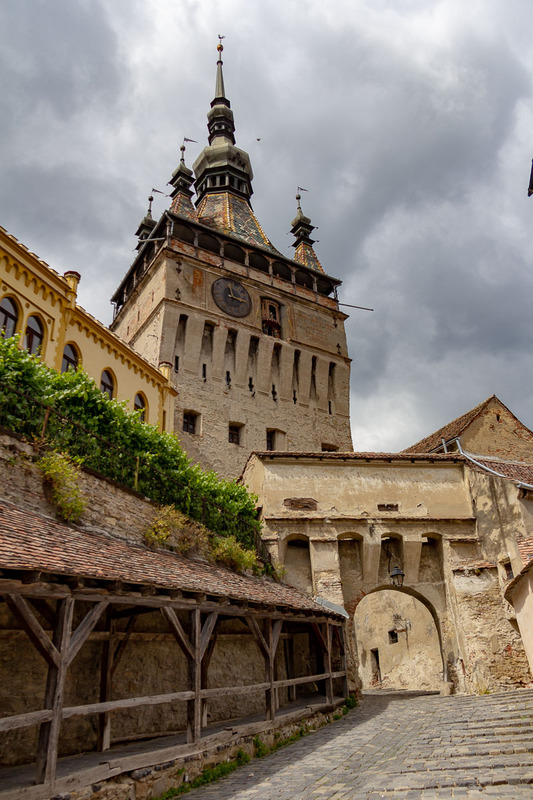 Any tourist site with even a tangential connection to Vlad Dracula, will also have souvenirs, tours, and museums devoted to Count Dracula. 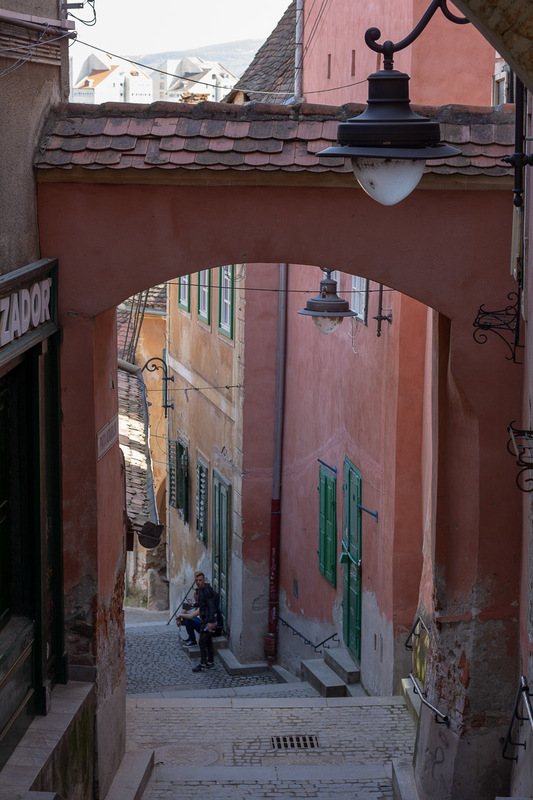 We spent a week in Sibiu on a Romanian side trip between our Hungarian house-sitting gig and visit to Budapest. The historic center consists of Upper Town, located on the high ground overlooking the Cibin River, and similarly named Lower Town occupying the area between the hill and river. 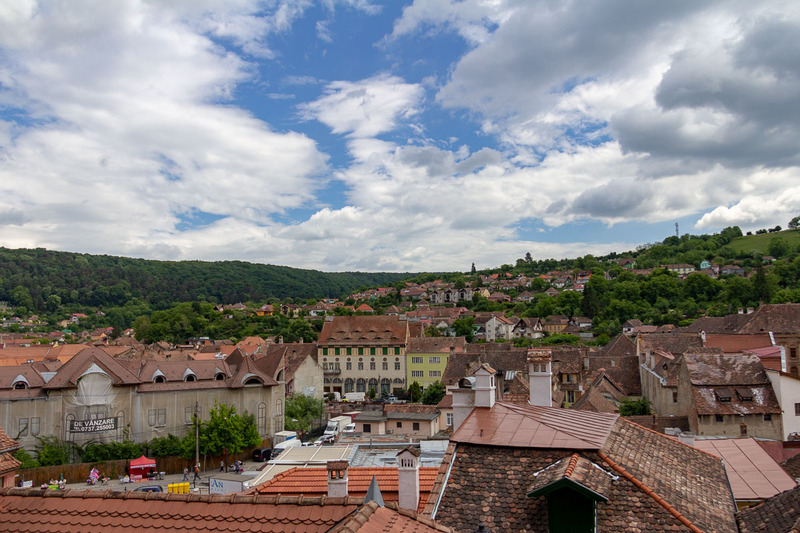 Upper Town is where the medieval wealth was concentrated and is dominated by three main squares (Grand, Lesser and Huet) connected by narrow passage ways and pedestrian friendly streets. 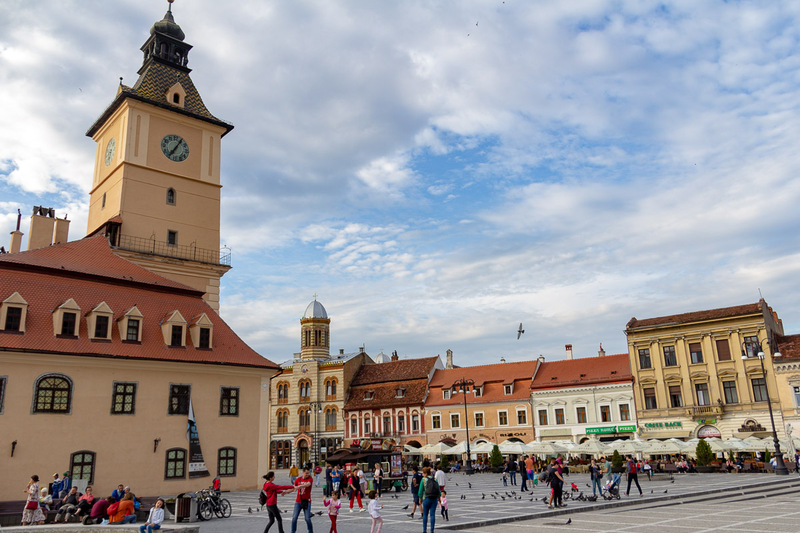 Lower Town was the manufacturing center of Sibiu. 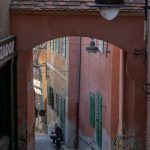 Here you will find narrow, winding streets and passages perfect for exploring and getting lost in for an hour or two. 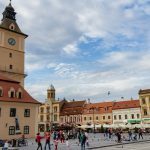 This is the tourist center of the city with enough churches, museums, cafes, and restaurants to keep one entertained, fed, and hydrated for a day or two. 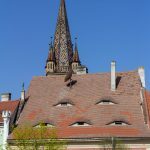 An architectural feature unique to the city are the residential buildings in the historic center sporting tall, steeply pitched roofs with small windows that look like human eyes. 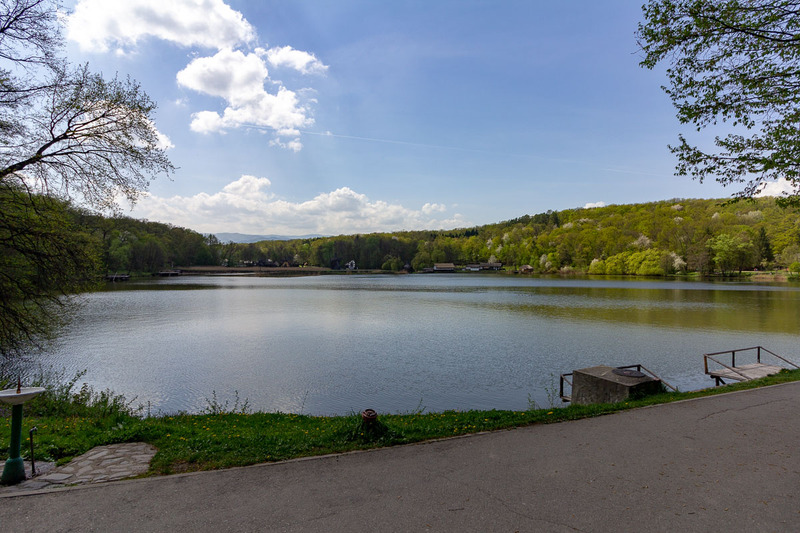 About 4km outside the historic center is the Dumbrava Sibiului Natural Park consisting of a nature reserve, a small zoo and the ASTRA Museum of Traditional Folk Civilization. 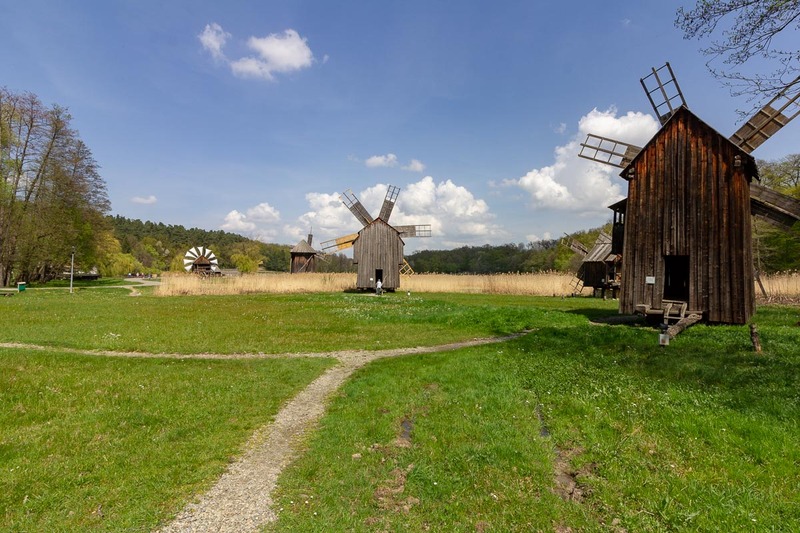 The last of these is an open-air museum focusing on the preservation of the history and traditions of the Romanian people. We spent the better part of an afternoon walking around the grounds through historical buildings transplanted there from all across the country. On the way to our house-sitting gig we spent a few days in the education and technology center of Cluj-Napoca. 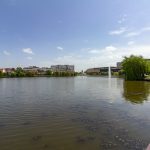 Known by the locals as just Cluj, it is the second most populous city in Romania and home to at least ten universities, including the country’s largest with over 50,000 students. The historic center has the typical city squares, churches and museums. This is the place to be for food, drink and nightlife. 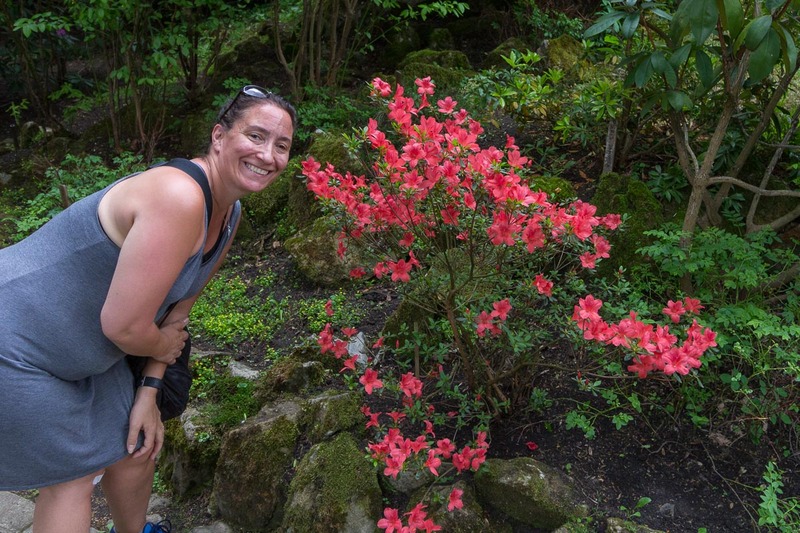 The botanical gardens located near one of the universities came highly recommended, but was underwhelming due to the lack of flowers in bloom. We stayed in a redeveloping part of the city near the Iulius Mall. 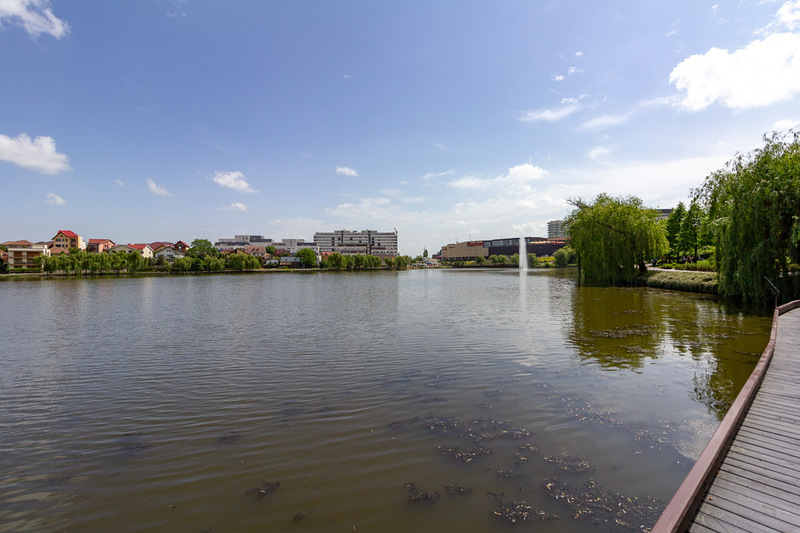 Situated on Gheorgheni Lake, it is surrounded by an odd mix of office buildings, modern multi-story apartment complexes and more traditional Romanian single family homes. We were in the city, but woke most mornings to the crowing of roosters coming from the backyards of the surrounding houses. 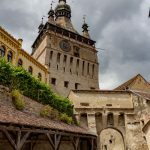 Our visit to Sighișoara came as a day-trip during the house-sitting gig. Below the citadel there is a city square surrounded by many restaurants and shops. An open air market with crafts and food vendors covered much of the square. 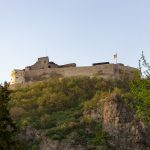 The citadel can be accessed by a steep, winding pedestrian walk-way that gives panoramic views of the river valley below. 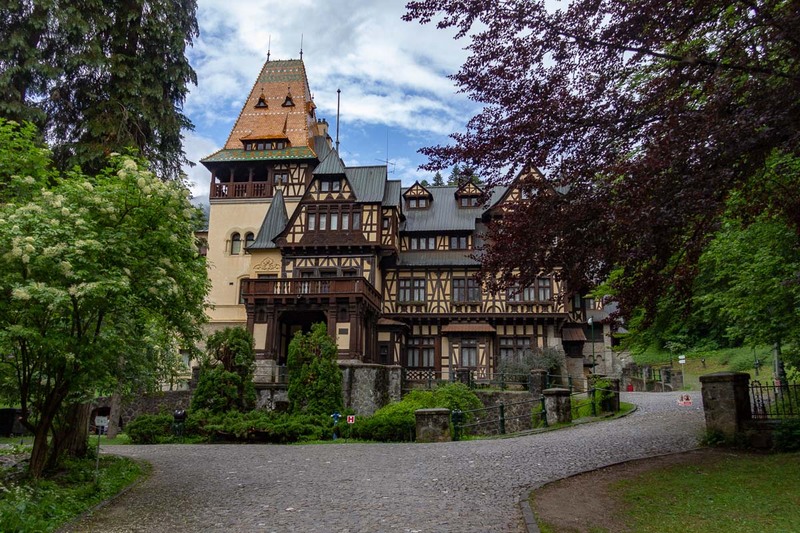 At the top you will find a well preserved historical city center with many intact towers primarily built by medieval guilds and other trade organizations. At the highest point within the walls is a church and associated school. To aid parishioners and students climbing the steep path to the top of the hill, the Scholar’s Stairs were built which was a fully enclosed stair case. In the main square within the citadel is the Vlad Dracul House, the alleged birthplace of Vlad Dracula. 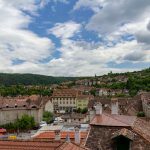 We stayed in Brașov, post house-sit, for a couple of nights on our way to Bulgaria. Our primary reason for visiting the city was to visit a couple of nearby castles. Therefore exploration of the historic center was limited to just one evening, mostly on a guided walking tour. In the center is the typical main square surrounded by multi-story buildings now occupied by restaurants, bars and other tourist centered businesses. The Black Church is nearby, named due to the exterior being blackened due to smoke damage in a 17th century fire. Catherine’s Gate is the only remaining gate from the original city walls, although there was a second gate erected nearby in the 1800’s to allow more traffic into the city. 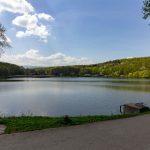 Our tour guide also told us stories of Vlad Dracula, but in general his take was to not believe most of what you hear in tourist sites since little of it has any real basis in historical fact. Although not in Transylvania, we also spent a couple of nights in Bucharest on our way to Bulgaria. This is another case where we really weren’t there long enough to form a solid opinion of the city. The one full day we spent in the city center was the first really hot day of summer and aimlessly wandering around the city was not something we were interested in. We did have lunch at a historic 19th century inn called Hanul lui Manuc (Manuc’s Inn). It is the only inn of its type still being used as a restaurant and hotel. 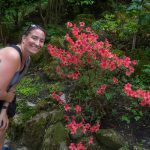 We did tour a few other historic sites in the immediate area, but ended up opting to café and bar hop our way through the city to avoid the heat of the day. We met up with a local friend for dinner and he drove us around the Palace of the Parliament. It is an impressive structure in that it is the second largest office building in the world at 3.9 million square feet of office space (The Pentagon in Virginia is number one). 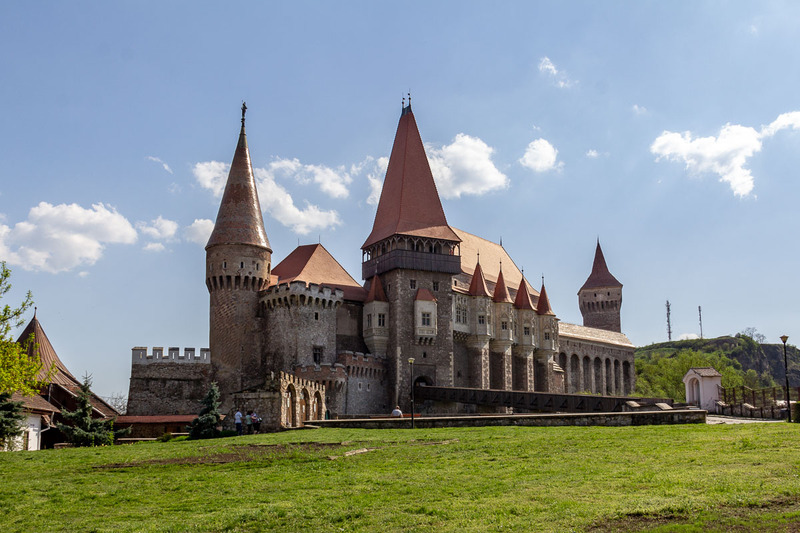 It was built on the orders of then dictator Nicolae Ceaușescu to showcase the power of Communist Romania, but even today is reportedly 70% vacant. 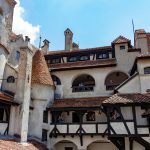 While in Transylvania, we had two trips devoted to seeing old castles and other fortifications. 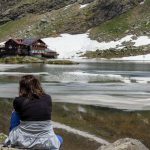 First was a day trip from Sibiu. 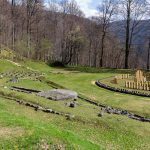 We started the day traveling to Sarmizegetusa Regia, the site of an ancient citadel and capital of the Dacian people that predates the Roman Empire concurring the area. 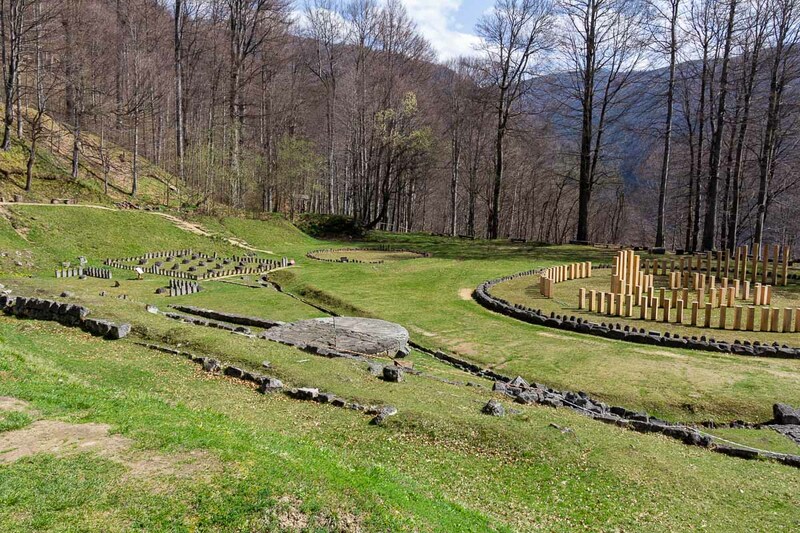 Today, visitors will find remains of walls and old stone circles on the site. 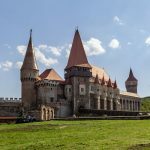 This was followed up with a visit to Corvin Castle in the village of Hunedora. Both Fara and I feel this has been the most impressive castle we’ve visited so far. 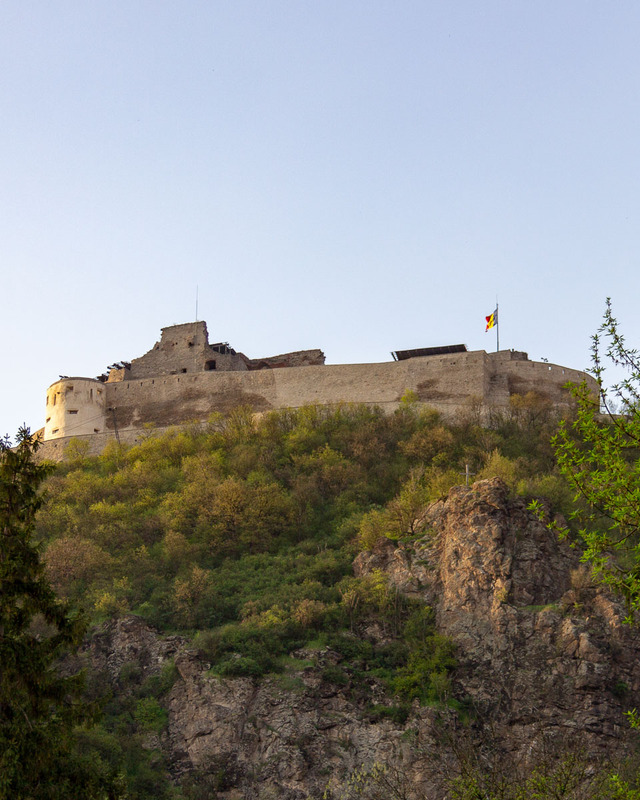 It is not only beautiful, but as a visitor you are given almost free reign to explore the castle as you see fit. This is contrasted with the typical castle experience where the viewing public is herded from room to room in a single file line behind rope barriers. The day ended in Deva where a cable car took us to the citadel on top of a hill overlooking the city. The citadel itself is under renovation, so we were limited to touring the grounds just inside the walls of the fortification. 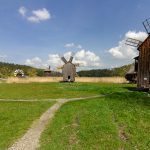 We also spent a few days touring castles in the area surrounding Brașov. 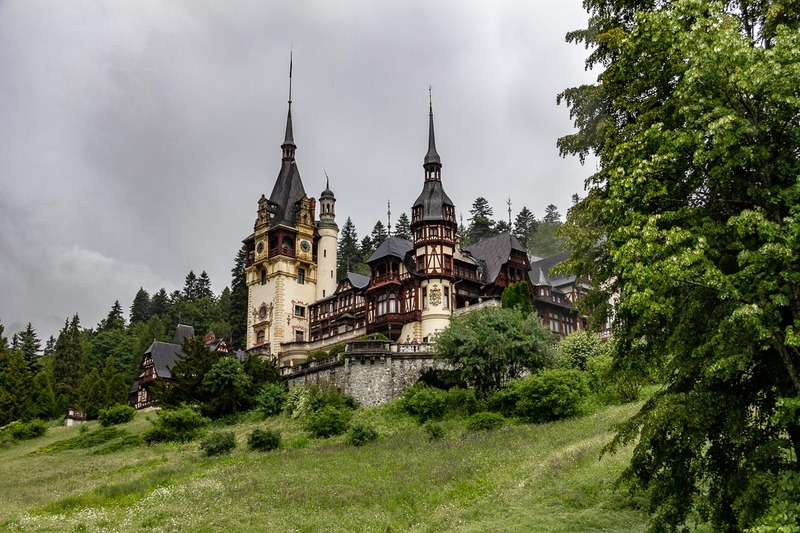 Peleș Castle looked really impressive from the outside, but that was all we could see. Unfortunately we didn’t find out until we showed up at the ticket office that the castle was closed to visitors that day. If we visit the area again, we will likely try again on a day when it is open to the public. 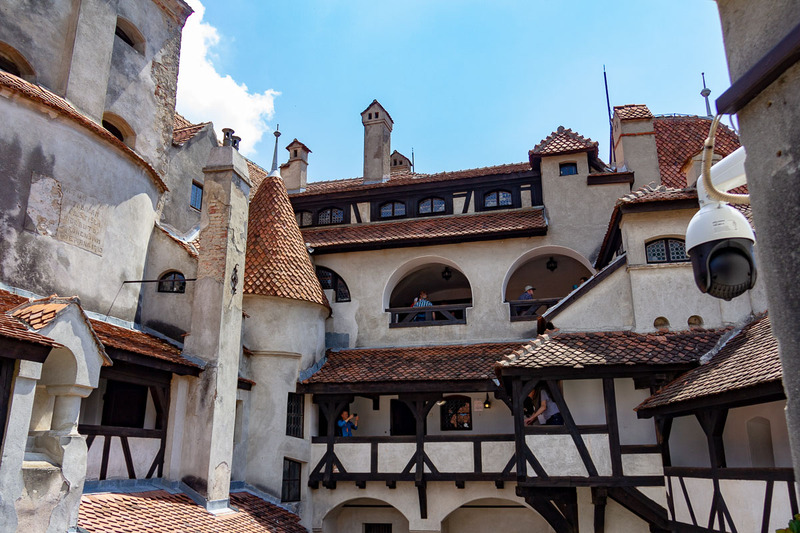 Commonly referred to as “Dracula’s Castle” was the very touristy Bran Castle. The pathway from the village to the castle gates were full of stalls selling all kinds of souvenirs and independent tour guides hawking their services. 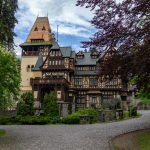 Much of it was playing up the links to the Dracula legend, the irony being that Bram Stoker likely never visited Bran Castle. Despite the tourist trap vibe, the castle was beautiful and well maintained, but it falls into the category of castles you get herded through. 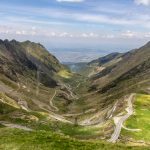 The geology of central Romania is dominated by the Carpathian Mountains and there are many scenic mountain passes to travel through if you have your own transportation. 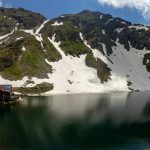 The first of these we experienced is the Transfăgărășan. 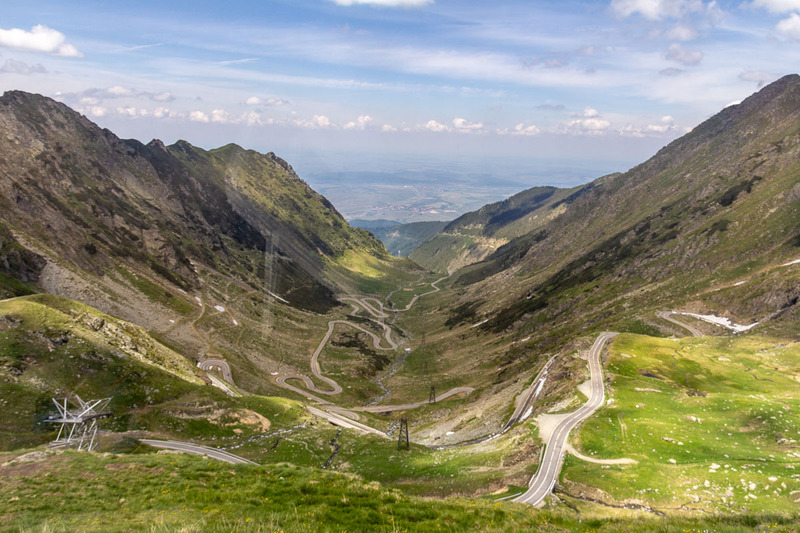 A day trip from Sibiu, this mountain pass was built in the 1970’s as a way for the military to quickly move between the regions on either side of the mountain range. 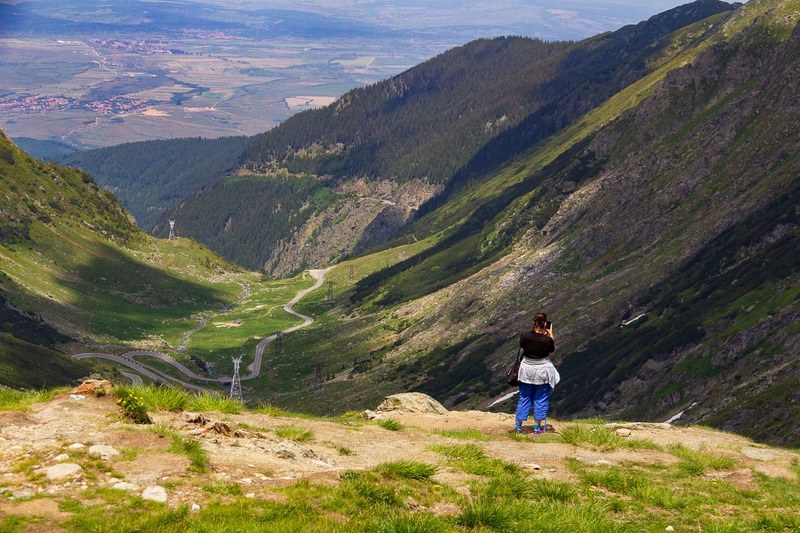 It was featured on the BBC show Top Gear where Jeremy Clarkson called it the best road in the world and I can see why. 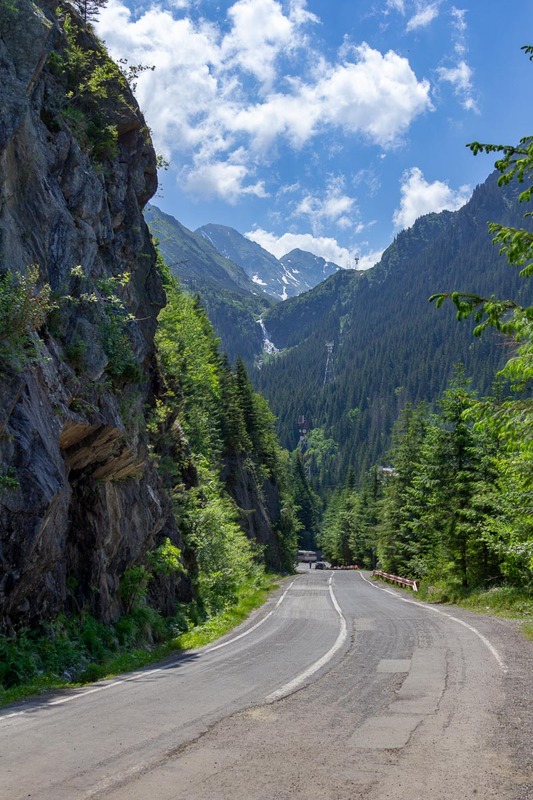 It is 71 miles of hairpins and S-curves that climbs to an altitude of 6,699 feet to Bâlea Lake at the top. 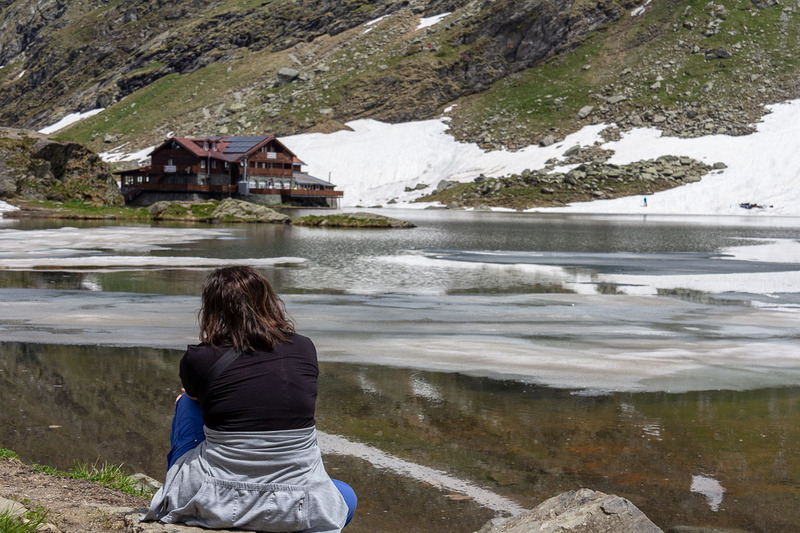 It doesn’t open to car traffic until late June due to not being maintained in the winter, so we had to take a cable car to the lake to grab some lunch and take in the views. 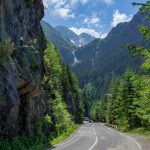 Near Peleș Castle is another drive called the Transbucegi. 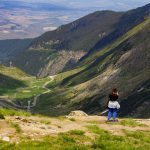 Nowhere near as vertical and winding as the Transfăgărășan, it leads you through the mountains to Bucegi Nature Park where you will find numerous hiking trails. 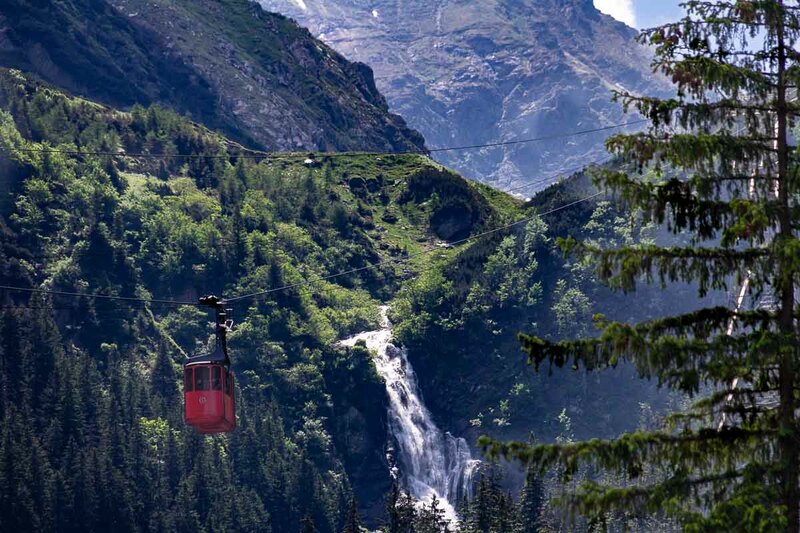 There is even a music festival in this alpine park in the summer. 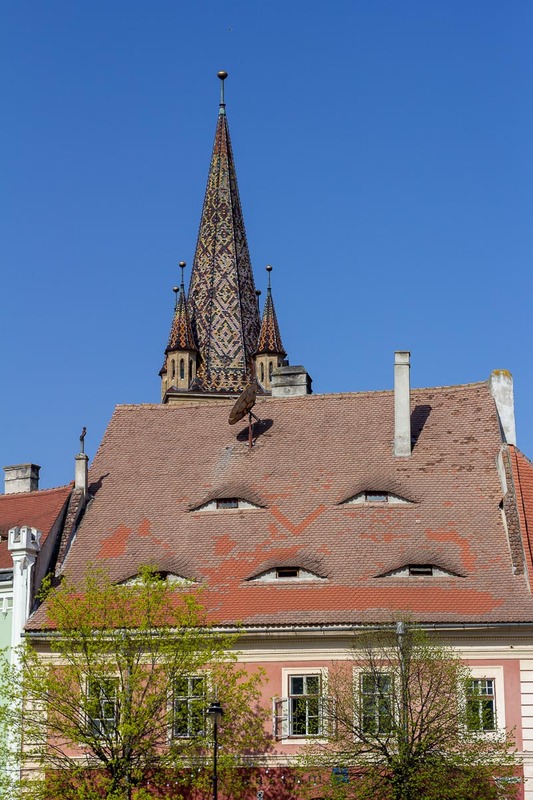 We didn’t run into any vampires while visiting Transylvania. Instead we found a region full of natural beauty, history, and interesting cities. Next stop, Bulgaria.